We’ve been moving people around the globe for more than four decades. From pre-planning to clearing customs at your destination, A-1 Freeman Moving Group will help you every step of the way. We can assist with determining the best way to pack and ship your possessions based on your needs, help you deal with customs formalities quickly and efficiently and get your possessions delivered to your new home, no matter where in the world you are moving. We recognize that communication is critical to the success of an international relocation, which is why we have developed a proved move management process that endures attention to every detail of your move. From advice and guidance on customs information and restricted or prohibited items, through regular updates and reminders, our system makes sure that every step of the moving process is completed - and communicated - to all parties involved. When it comes to shipping your possessions overseas, you can feel confident knowing that they'll be carefully containerized for export. 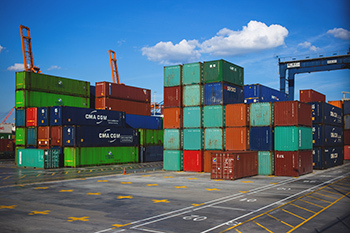 Based on the size of your shipment, its handling requirements and destination, there are several types of containers and shipping methods that may be utilized. Rest assured all of them are designed to maximize cost-efficiency and protection. 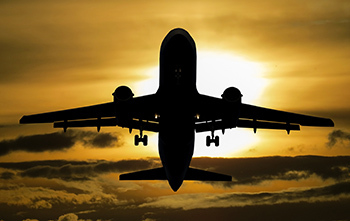 Air freight is the fastest option for international shipping, but it is also the most expensive. Most customers choose to ship the majority of their household goods by sea and only use an air shipment when some items will be needed while awaiting the arrival of the ocean shipment. Air Freight is shipped in a "D" container, which has a volume of 62 cubic feet. Packing materials used for the goods will take up between 10-15% of the available space. Ocean freight is the most common and cost-effective option for international moves. Dependent upon the size of your move, there are three primary containers used. The lift van is the smallest of the options for ocean freight used for a small amount of personal goods and household items. Lift vans are consolidated in a shipping container with other lift vans going to the same destination. Customers should be aware that the transit time is often extended as a result. Household goods can be shipped in multiple lift vans although a sole use shipping container will be more cost effective for most customers with an average shipment size. The volume of a lift van is 197 cubic feet and is large enough to accommodate all but the largest items of furniture. A 20 foot container is the most common shipment method for an international move. The container has the capacity to hold 1100 cubic feet internally and is roughly the size of a single car garage. A 20 foot container will accommodate all sizes of furniture and personal effects. If the container is not full, the shipment will be secured with a bulkhead - a plywood wall - which is used to brace the shipment to prevent any shifting of the items while in transit. A 40 foot container is one of the largest capacity containers for ocean freight shipments. With a capacity of roughly 2200 cubic feet, this container is about the size of a full two-car garage. This is ideal for larger homes. Use the chart below to compare international shipping container sizes. Need to track your international shipment? Click here.